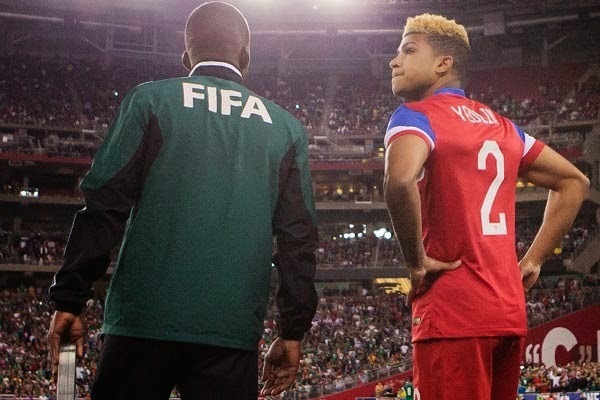 There are plenty of young players applying their craft around the world, some of these players are playing for big clubs and have earned spots in their national teams. Long are the days, in which young players would only get their chances in middle of the table sides or even lower divisions. The youth movement has taken over football and we are likely to see players appearing in the biggest stages, representing some of the bigger clubs in the world. With that in mind, I have decided to put together a list of the best U21 starting XI. 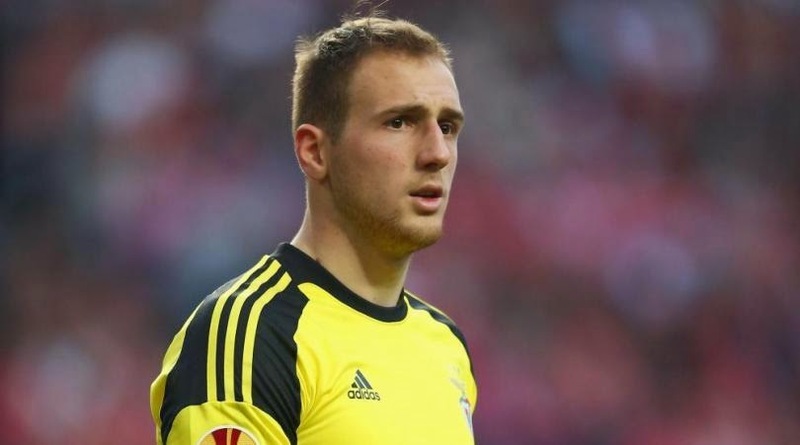 The former Benfica goalkeeper had a breakout season with the Lisbon giants last year. He came into the team due to an injury to Artur and once he was there he never looked back. He was one of the reasons Benfica was able to win the domestic treble last season and reach the final of the Europa League for the second year in a row. He won the best goalkeeper award for his performances in the Portuguese league, where he allowed 3 goals in 13 games. His performances caught the attention of Atletico Madrid that this offseason paid his release clause and signed him from Benfica. He will have the task to replace Thiabaut Courtois, which won’t be an easy task. His domestic performances for the Sounders earned him a spot in the US roster than travel to Brazil to play in this summer’s World Cup. His performances there proved that Klinsmann was right in taking this youngster to the tournament. He is an incredible player, with tremendous speed and great dribbling skills. His performances for club and country have made him a desirable target for clubs like Tottenham. The London club has signed him but he will remain in Seattle until 2015. 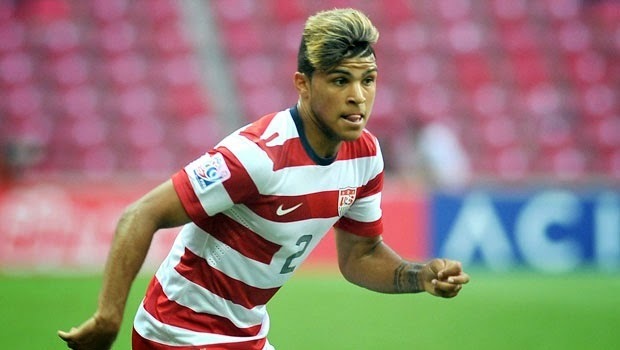 The signing of the young American right back, is a move that could help his growth and exposure. The young French international and Real Madrid star needs no introduction. 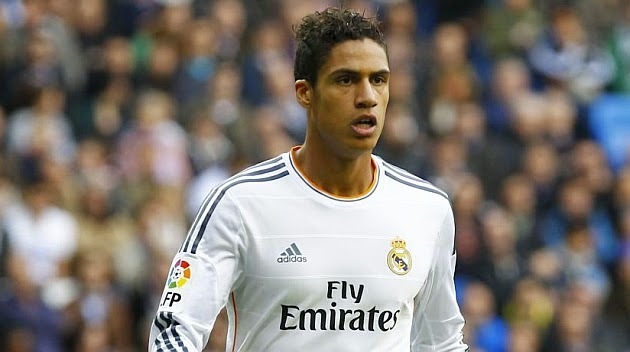 In 2012-13 he made a name for himself during his El Clasico debut, playing incredible defense and even scoring a goal. His performance was so dominant that he relegated the more experienced Pepe to the bench. Since then he has been a main staple of not only Real Madrid’s back line but also of the French national team. He was one of the best players for France in this summer’s World Cup. The sky is the limit for this young star. He made his name with Roma at the young age of 18, proving himself on the squad and forcing older and more experienced players to the bench. He was so impressive that PSG didn’t waste any time and paid 31.4 million euros for his services in the summer of 2013. Playing time at PSG wasn’t easy, not when you have players like Alex and Thiago Silva ahead of you, but he still managed 21 league appearances and 2 goals. Marquinhos has dual citizenship, Portuguese and Brazilian, and both countries are looking at having him in their roster, I believe he will end up playing for Brazil. Perhaps replacing David Luiz in that center back role. He is hands down one of the most electrifying players in European football at this time. He signed with Portuguese side SL Benfica, last season, moving there from Partizan in Serbia. After his first game, it was obvious that a player of his talent wouldn’t be staying in the Portuguese league for too long. His has incredible speed, ball control and the ability to finish like if he was a pure forward. No surprise to anyone that has seen him play, that Liverpool signed him from Benfica after being there only for one season. This is one of those kids that you would pay to go see, an incredible talent that will be adding more quality to the Premier League and showing himself to a must larger audience. Making this team without Pogba would be like driving a car with no tires. 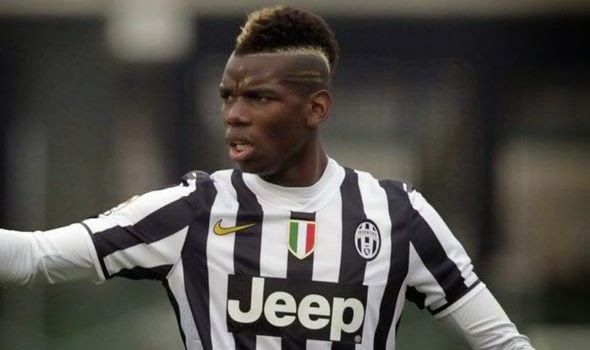 Pogba joined Juventus on a free transfer from Manchester United after Alex Ferguson preferred Tom Cleverley over him. In the many years of Sir Alex in charge of Manchester United this will have to go down as one of his worst mistakes. He has taken over Juventus and become a focal point of that team’s way of play. He has also been a key element with the French national side, winning the Best Young Player award at the 2014 FIFA World Cup. 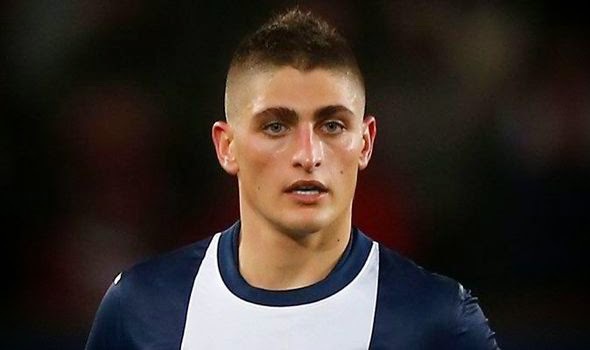 The young Italian international is considered by many the future of the Italian national team. What he lacks in size he makes up in football IQ. He is very intelligent on the ball, knows exactly what he wants to do with it, and adding to that his passing ability makes him one of the most complete young midfielders in the game. No surprise that he was included in the Italian World Cup squad this summer, and even less surprising his great performance against England in their opening match. He and Luke Shaw are by far the two best young talents that England has produced in the last couple of years. He has the ability to play on either wing or even behind the forward make him a very attractive player from an offensive perspective. 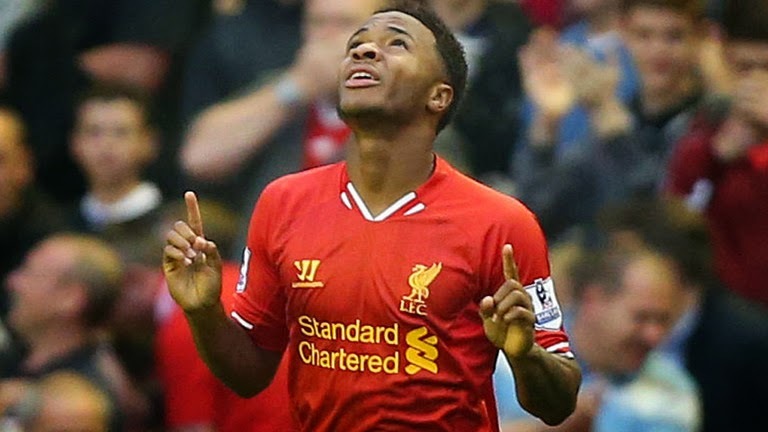 He broke in with Liverpool at the age of 17 and has been gaining more minutes on the field as the time has moved on. He is an incredible talent, and now with Suarez gone, his team will depend even more on his ability. By far this was the hardest decision that I had to make when putting this starting eleven together. There are three other players that could also be in this spot, like Quintero (FC Porto), Bernard (Shaktar Donetsk) and Ross Barkley (Everton). 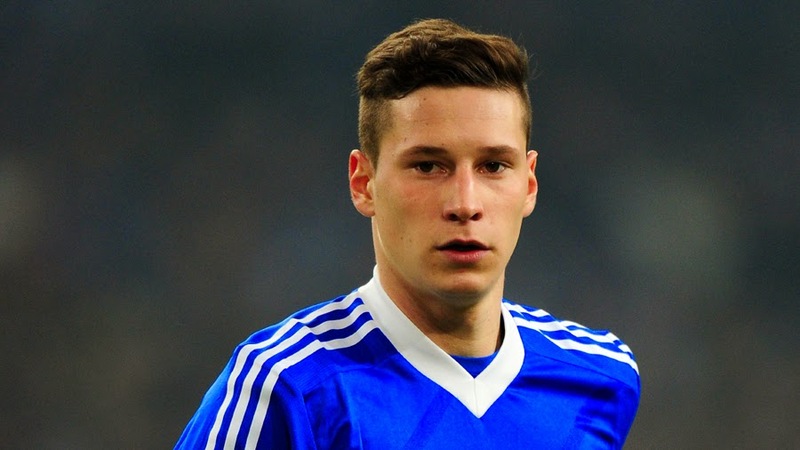 Ultimatly only one could make it and my decision went with Draxler. He has been a regular with Schalke since the age of 17 and a German international since the age of 18, with also half of Europe after his signature it is hard not to have him on my starting XI. This past summer he became a World Cup winner and managed to get some minutes in the semi-final win over Brazil when he came in for Sami Khedira. 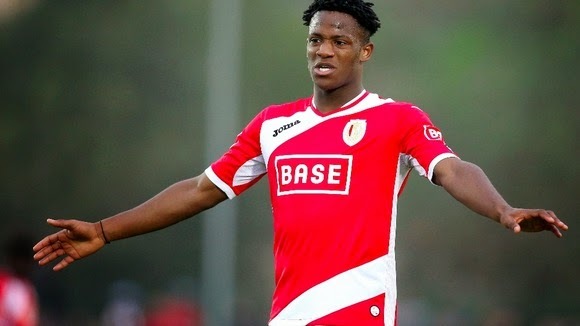 The young Belgium U21 international had a breakout season with Standard Liege last year, prompting several clubs to come knocking on their door in attempts to sign the young forward. In 97 games for Liege he scored 39 goals. From the many clubs that were interested in his signature, Marseille were the lucky winners. He will now be able to apply his craft in Ligue 1 and continue his rise to stardom.